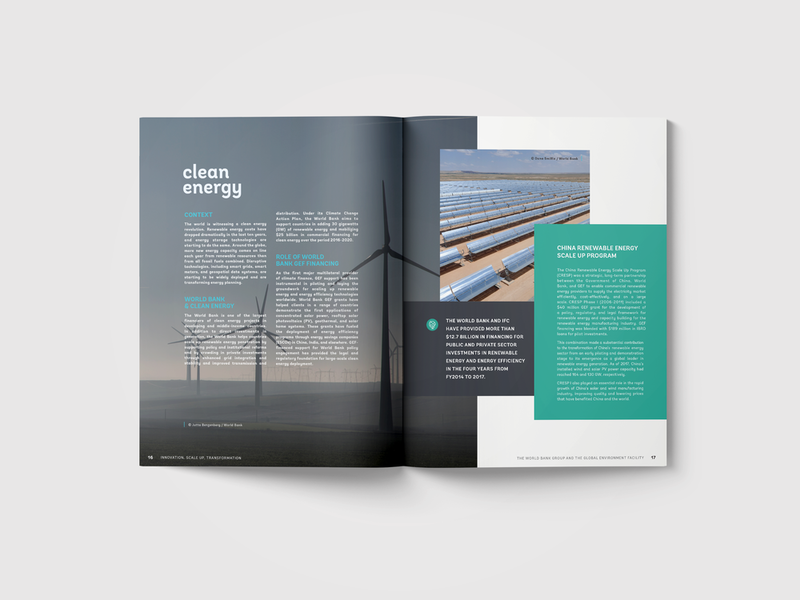 In late 2017, The World Bank sought an entire creative re-envisioning of their growing program, the Global Environmental Facility (GEF), working for the last 30 years to address our world's most pressing environmental issues. 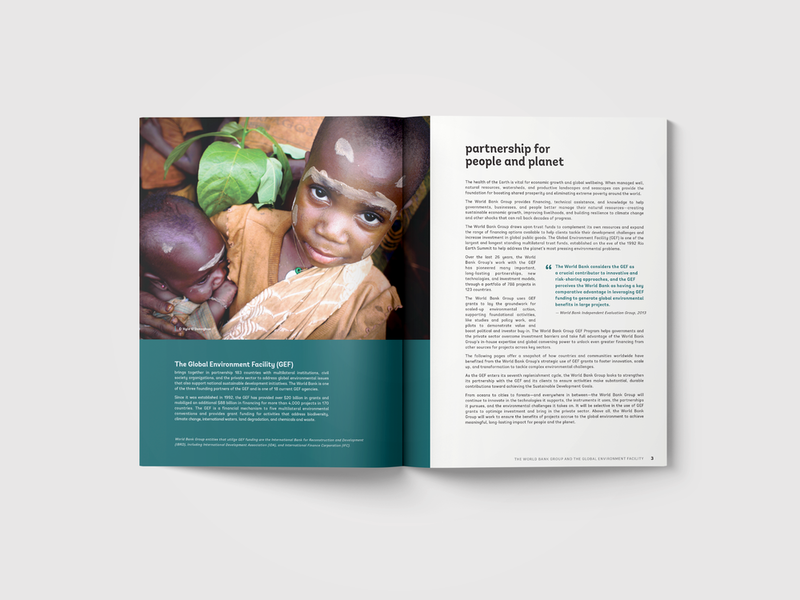 We sought to re-establish GEF as a visionary and emotive brand influencing environmental development across the world for an audience of world leaders, supporters, and donors. 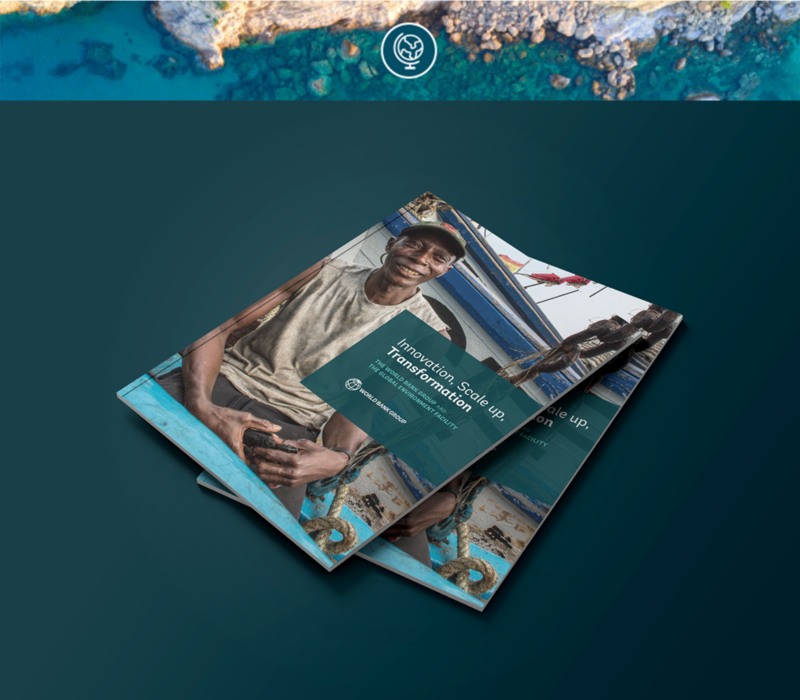 First, we looked to what The World Bank has always done well — implementing a versatile brand that resonates with global audiences. 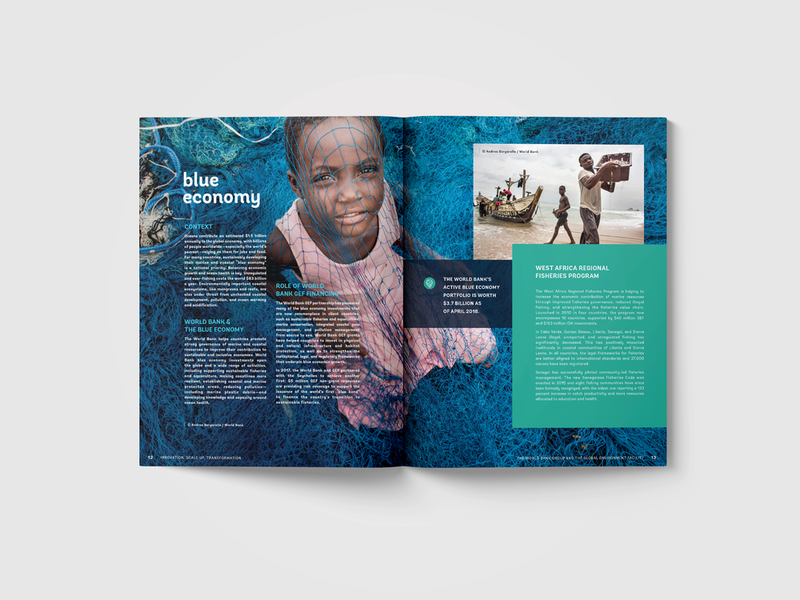 Elements that would tie the brands together for visual consistency were selected and included in creative development, primarily typography and blue tones from The World Bank's own palette. 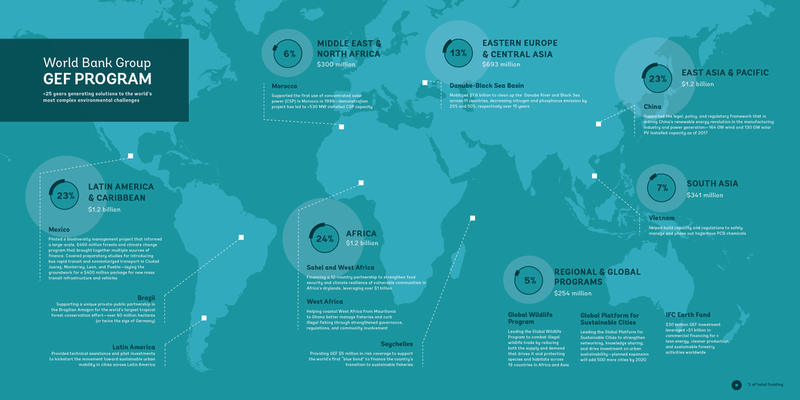 GEF needed to stand alone, but also with The World Bank. In execution, we layered stunning photography of landscapes, resources, and communities with stories of environmental innovation and the contributions of GEF worldwide. 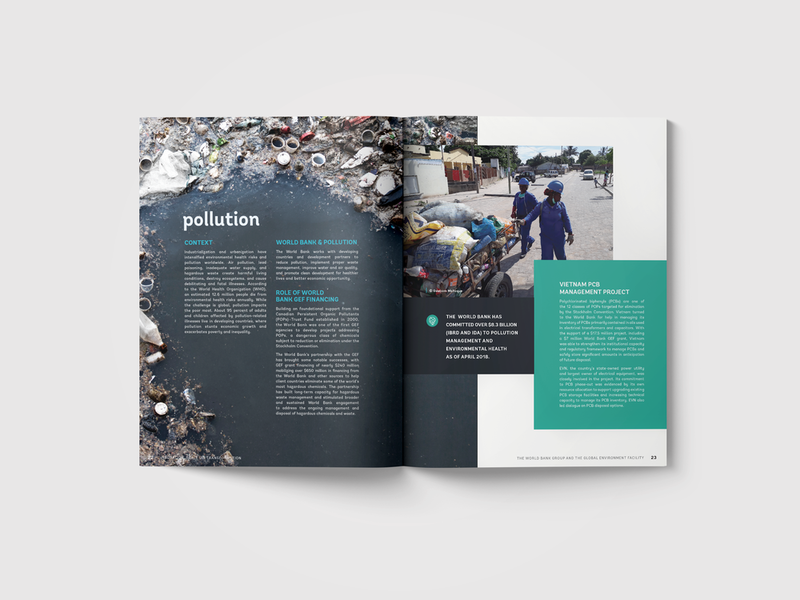 The end product is a visual suite that draws us in, invites us to look closer, and connects readers with environmental and energy issues across the globe. The GEF brand and suite of collateral was launched at the Sixth GEF Assembly in Vietnam, June 2018. We continue to develop additional GEF brand pieces.